The ULTIMATE GNOME SWEET GNOME COMPETITION is bringing the fun and fizz back to property ownership. Already known for her awesome advice, Trish is now launching a newsletter bursting with a wealth of knowledge, razor sharp financial advice and practical perspectives. 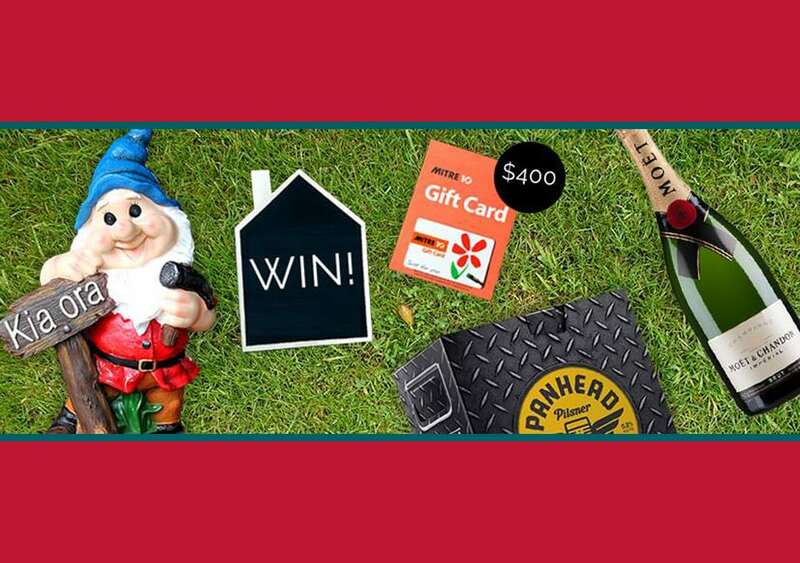 And to celebrate she’s giving away a collection of essential homeowner supplies: a bottle of MOET, a box of PANHEAD BEERS, a $400 MITRE 10 VOUCHER and a GNOME that’ll look fabulous in any Kiwi garden! You must be aged over 18 to enter. T&Cs apply. Winner announced 15 November 2016. Whether you’re a First home buyer, Mortgage Saver or into Property investment Trish and Greenwood Financial can get your mortgage sorted, simply. Trish can help you with all those financial questions that come with purchasing a property: How much money do you need? How much can you afford? Will the bank give you a loan? How much can you get from Kiwisaver? How should your loan be structured? With access to the best lenders in the market, Greenwood Financial make the whole thing a breeze by finding your most suitable options. We’ll even do the paperwork, so you can focus on finding your new home. And it’s free! The first step to establishing true financial security is to address the biggest threats that may occur. This requires asking yourself some difficult questions, such as what would happen if you or your partner became sick, were injured, or passed away? Welcome to our New Website! We Have A Winner!